In the National Basketball Association – an interesting game on Saturday night features the Philadelphia 76ers on the road at the Golden State Warriors. The 76ers are one of the young up and coming teams, but they are going to be outmatched in this game. Philadelphia us 6-5 on the season, but coming off a tough loss on the road at the Sacramento Kings. 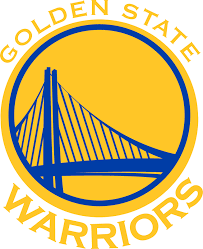 The Golden State Warriors are the defending NBA Champions. The Warriors have been to the NBA Finals three straight seasons, winning two of them. The Warriors are 9-3 on the season, and have won 5 straight games. The Golden State Warriors are big favorites in this game. The Warriors are -12.5 over the Philadelphia 76ers on Saturday night. The Golden State Warriors are at home in this game, a place where they have won 4 out of 6 games. The Warriors in their last two home games have smacked the Heat and Timberwolves by 20.5 points per game. The Warriors on the season are leading the NBA in scoring. Golden State is scoring 119.1 points per game. Steph Curry, Kevin Durant, Draymond Green and Klay Thompson are all four sensational scorers, but Curry and Durant lead the way. Curry is scoring 25.4 points per game, while Durant is just over 20 per game. The Warriors are the top assist team in the league, led by Curry. Golden State is dishing out 31 assists per game. The Philadelphia 76ers are coming off a loss in Sacramento, which snapped their 5 game winning streak. During the streak, the 76ers scored 104 points or more in every game. On the season, the 76ers are scoring more than 107 points per game. The defense has been better this season, also allowing 107.4 points per game. The 76ers top scorer this season has been Joel Embiid. The big man is scoring 20.7 points per game. Ben Simmons is second, with just shy of 20 per game. Simmons also leads the team with nearly 8 assists per game, and is making 50% of his shots. The 76ers are looking to beat their win total of a season ago, where they finished 28-54. The Golden State Warriors are going to be rude guests to the Philadelphia 76ers. The Warriors always show the new, young up and coming team who is still the boss in the NBA. Just look at what the Warriors did to the Minnesota Timberwolves, which is a team similar to the 76ers. While teams can hang around the Golden State Warriors for a while, in the end, it’s tough to compete in a 48 minute game. The final bet for this game is the Golden State Warriors -12.5 over the Philadelphia 76ers.